Although Mexican participation in the Trans Pacific Partnership will help the country to diversify its export markets, there are potentially some negative aspects to the deal. The Mexican Senate was the first of eleven countries’ legislatures to ratify Mexican participation in the Trans Pacific Partnership, (TPP) free trade accord in April of 2018. The comprehensive treaty, also known as TPP11, contains provisions that appear to be both positive and negative for the prospects of the country’s global trade. In addition to Mexican participation in the Trans Pacific Partnership other signatory countries include Australia, Brunei, Canada, Chile, Japan, Malaysia, New Zealand, Peru, Singapore, and Vietnam. The agreement creates a Pacific free trade zone that is composed of 372 million potential consumers. In 2017, trade between Mexico and this region was valued at US $67 billion, while 10% of foreign direct investment during the same year originated in the countries that are members of the newly created trading bloc, Mexican participation in the Trans Pacific Partnership carries with it both Pros and Cons. 1-International trade diversification to include a wider clientele in Asia and Oceania. According to the country’s Ministry of Economy, as a result of Mexican participation in the Trans Pacific Partnership, the country gained immediate access to 90% of the trading bloc’s national markets for goods. The novelty of the agreement for Mexican exports is that they will be able to enter duty-free into counties with which Mexico had no prior free trade agreements. These nations are Australia, Brunei, Malaysia, New Zealand, Singapore, and Vietnam. Additionally, Mexico will now have expanded access into the Japanese agricultural market and manufacturing sector. In addition to the aforementioned, according to the country’s trade promotion agency, Promexico, Mexican participation in the Trans Pacific Partnership will result in expanded opportunity for export sales into Australia’s 1.1 million unist per year domestic automotive market. Also noteworthy is that Australia is the second largest destination for Mexican alcoholic beverage exports. Now, these products will enter the country duty-free. Finally, Mexico’s trade organization sees increased sales of Mexican seafood and meat into the Vietnamese and Singaporean markets. 2- Participation in a “new generation” trade agreement. 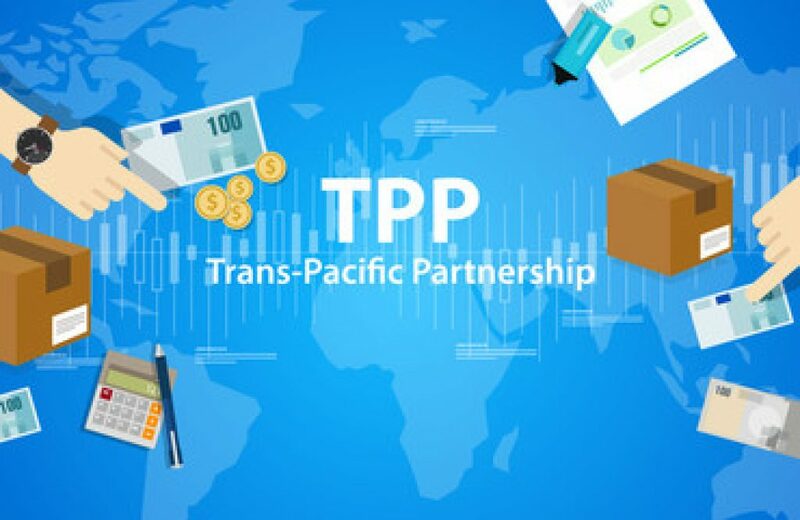 In addition to duty-free entrance of goods into the commerce of the TPP11 countries, the trade agreement also provides rules that govern electronic commerce, small and medium-sized enterprises, labor and environmental protection, and intellectual property. 3- In addition to its participation in the newly signed United States Mexico Canada (USMCA) Trade Agreement, Mexican Participation in the Trans Pacific Partnership strengthens its trade ties between itself and Canada. 4.- Counterintuitively, the fact that the United States is not among the nations that signed the agreement is a potential plus for Mexican participation in the Trans Pacific Partnership. On one hand, Mexico still has duty-free access to the US market but does not have to compete against the US for sales in the economies of the 11 nations that did ratify the treaty. In addition to the pros connected to Mexican participation in the Trans Pacific Partnership, there are also two noteworthy negatives. 1- It is estimated that most of the economic gains will go to countries in which there are a significant number of workers that earn US $88,000 or more per year. This is true because the TPP includes protections for patents and copyrights. Higher paid owners of intellectual property owners are anticipated to make the most wage gains. 2- Mexican participation in the Trans Pacific Partnership will put the country’s shoe and textile manufacturing sectors at risk. Vietnam, Brunei, and Malaysia are significant exporters of textiles and footwear. Even with tariffs of up to 30% on these items, products coming from these low wage nations will be highly competitive in the Mexican market. Recently, Mexico took an important step forward on the international trade stage with the finalization of a tri-lateral trade agreement. Under the United States, Mexico, and Canada (USMC) Accord it will continue to enjoy a duty-free trade relationship with its North American neighbors. Although this arrangement is an important one, there are other Mexican free trade agreements that make the country a strong global economic player. In total there are 12 Mexican free trade agreements that govern trade between it and 46 other nations. Additionally, Mexico has nine Reciprocal Agreements that have been made within the framework of the Latin American Integration Association (ALADI). The Latin American countries that make up ALADI are founding members Argentina, Bolivia, Brazil, Chile Colombia, Ecuador, Paraguay, Peru, Uruguay, and Venezuela. Cuba and Panama are also part of this group of Latin American nations. What are the 12 Mexican Free Trade Agreements? 1. The recently signed United States, Mexico, Canada Free Trade Agreement. The document has yet to be ratified by the legislatures of the three signatory countries. 2 The free trade agreement between Mexico and Colombia was signed in 1994. The accord governs that trade in 94% of the two country’s industrial products as well as a Mexican free trade agreement that focuses on agricultural products. 3. In 1999 Mexico and Chile signed a free trade agreement which has thus far increased annual trade between the two countries by 17%. 4. The free trade agreement between Israel and Mexico went into effect in mid-2000. Since the signing of the trade accord, the volume of commerce between Israel and Mexico has increased by 157%. 5. The EU-Mexico trade agreement was signed and ratified in 2000, and governs free trade between Mexico and the twenty-eight members of the European Union. 6. Mexico entered into a free trade accord with the European Free Trade Association (Iceland, Liechtenstein, Norway, and Switzerland) in Mexico City on November 27, 2000. 7. A Mexican free trade agreement was entered into in 2004 with Uruguay. Now trade in industrial, fishery and agricultural products are exchanged on a duty-free basis. 8. The Japan-Mexico Free Trade Agreement was put into effect at the beginning of 2005. Japan is Mexico’s largest Asian trading partner. 9. In 2012 the Agreement of Commercial Integration between Mexico and Peru was signed. Since the trade treaty has been in effect, commerce between the two countries has grown at an average of 13% annually. Mexico sends mainly technology products to its southern partner, while Peru supplies Mexico with mostly agricultural products. 10. The free trade treaty between Mexico and the countries of Central America was signed in 2012. The countries of Costa Rica, El Salvador, Honduras, and Nicaragua represents approximately 20% of trade between Mexico and Latin America. 11. Since a free trade agreement between Panama and Mexico was signed in 2015. Commercial exchange between the two nations increased by approximately US $949 million since the signing of the accord. 12. Mexico is a member of the Progressive Agreement for Transpacific Partnership. The free trade is among eleven Pacific Rim nations. These include Australia, Brunei, Canada, Chile, Japan, Malaysia, Mexico, New Zealand, Peru, Singapore, and Vietnam. 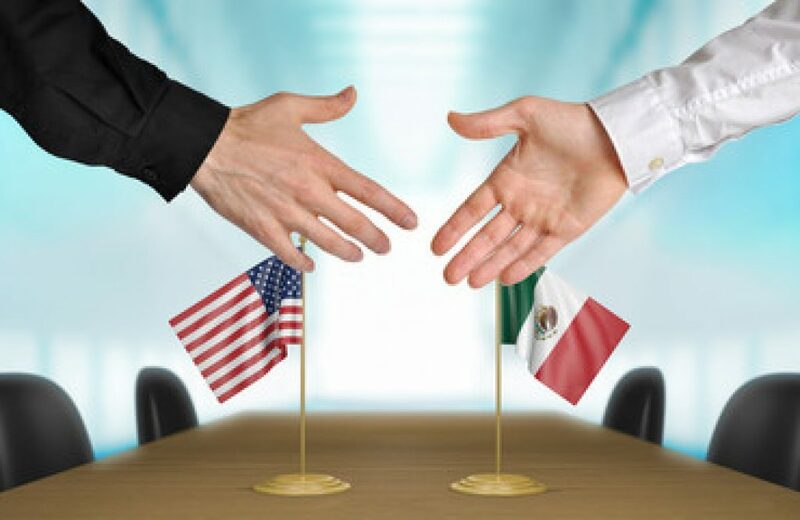 Recently, Mexico and the United States have reached a new agreement that will supersede the North American Free Trade Agreement that has been in place for more than two decades. The new bi-lateral United States–Mexico Free Trade Agreement will hopefully include Canada in the coming days. That 40%-45% of the value of automobiles imported into the US under the new United States-Mexico Trade Agreement should come from places in which workers are paid at least US $16 per hour. That there are consumer protection mechanisms put in place that apply to the digital market. An extension of the copyright (authorship rights) for a period of seventy-five years for artistic works. A guarantee that migrant workers are protected by labor law. Officials must create mechanisms by which the public can give input as regards environmental issues in the two countries that are a party to the agreement. The new United States-Mexico Trade Agreement will be in effect for an initial period of sixteen years with an option to renew for sixteen more years. There will be an annual revision of the accord after six years. The agreement did not address US tariffs placed on Mexican steel and aluminum. For the time being, these taxes on trade continue to exist. Over the last several decades, Mexico has managed to make itself one of the main manufacturing centers in North America. This is due to a number of comparative advantages that it has in its favor. These include a privileged geographic location, an open and pro-business economy, an important network of free trade agreements, macroeconomic stability, abundant energy and natural resources, and a skilled and competitively priced workforce. Mexico has become a leader in the automotive, medical device and electronics industries. Additionally, over the last decade, productivity in aerospace manufacturing in Mexico has taken off. At present, the aerospace manufacturing sector is one of the world’s most dynamic. This is because there has been a global increase in demand for aircraft. Between 2012 and 2016, passenger air travel traffic grew at an average annual pace of 5.3%. In addition to this, airfreight traffic increased 3% on average during the same period. In 2016, shipments reached 34.5 million pounds. This figure is up from 30.7 pounds in 2011. As it is now a global player in the industry, these figures represent an opportunity for growth in aerospace manufacturing in Mexico. Currently, there are over 300 companies in the aerospace manufacturing in Mexico industry. Of these companies, 80% are in manufacturing, while the remaining 20% offer design and engineering services, as well as services in the area of MRO (maintenance, repair, and operations). The largest concentration of aerospace manufacturers in Mexico is located in the north of the country. Specifically, aerospace manufacturing in Mexico is highly consolidated in the northwestern state of Baja California. The industry has had a presence in the entity for the last forty years. Currently, there are 76 aerospace companies located in Baja California, many of these facilities are in the business of producing fuselage systems and power plants. Sonora is another northern state in which aerospace manufacturing in Mexico is thriving. There are more than fifty manufacturers with a presence in this region. Many are focused a significant number of them concentrate on producing blades and components for turbines. Sonora stands out because it carries out some activities that are highly technical and specialized. These include die casting, lost wax and sand molding, as well as thermal and surface treatment. Sonora also has an aerospace manufacturing in Mexico strength in the area of research and development. The Institute of Advanced Manufacturing and Aerospace (IMAAS) has partnered with private sector firms to make progress in this area. Chihuahua has more than thirty aerospace manufacturing in Mexico companies, as well as 37 suppliers that have global aerospace industry standards certification. Additionally, it is home to five original equipment assemblers. These companies form an aerospace cluster that is involved in five major lines of work. These include manufacturing and assembly, design and engineering, as well as in maintenance, repair and overhaul, or MRO. Among the items produced in Chihuahua are fuselages, aerostructures, motors, electrical wiring, high precision machine parts, motors, and interiors and seating. In the Central Region of Mexico, the state of Queretaro is the big player in the aerospace manufacturing in Mexico industry. Over the last several years Queretaro has been the recipient of the largest amount of aerospace foreign direct investment (FDI). The state employs a strategy in which companies, universities, and government have teamed up to promote the area’s growth in the industry. Queretaro is home to a cluster of 25 manufacturers and their suppliers, as well as three maintenance and repair companies, five design and engineering centers, three innovation and development centers and the nation’s only university with an aeronautical focus. One area in which aerospace manufacturing in Mexico is advanced is in the production of engines. Activities performed in Mexico include the design, manufacture, and maintenance of parts. Many international companies that have come to Mexico with their aerospace investment have found that the country has the necessary talent in place to take on high-value projects. Today Mexico is a global player in the aerospace sector. 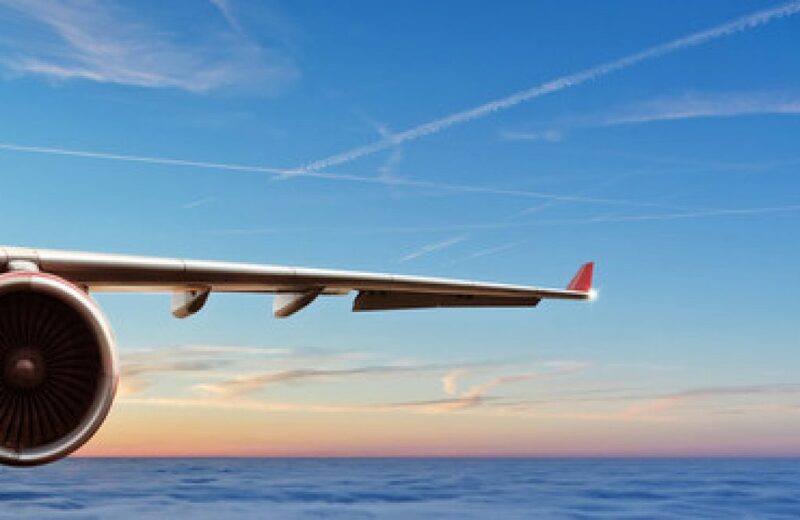 In the last 10 years, the industry has experienced a growth rate of 17.2% and has gone from tenth place to sixth place of countries that export to the aeronautical industry in the United States. Over the last five years, industry exports have grown at a rate of 20% per annum. Remember, interested parties can receive Mexico manufacturing information on a weekly basis by SMS Texting the word Tecma to 96000. Shelter companies make the learning curve associated with manufacturing in Mexico a much shorter one. Manufacturing in Mexico may, at first glance, seem to be a daunting option for small to medium-sized firms. As is the case with operating in other foreign nations, manufacturing in Mexico brings with it many challenges and the need to familiarize company leadership and operations staff with the intricacies of running a business within the borders of the country. In addition to locating a city in which to operate, companies that will engage in manufacturing in Mexico must seek and find industrial space in which to house their production activities. Once this task has been completed, a company that is manufacturing in Mexico must go through the process of registering itself with the Mexican Government’s equivalent of the IRS. That agency is called the “Secretaria de Hacienda y Credito Publico,” or “Hacienda” for short. By manufacturing in Mexico under the shelter service model, companies can take full advantage by using the capacity for conducting non-core functions that the shelter company has developed over the years. In essence, rather than spending the time and money needed to staff and create an in-house capability to perform these functions, companies can start up and continue their manufacturing in Mexico by “plugging into” the infrastructure that the shelter company has put into place. 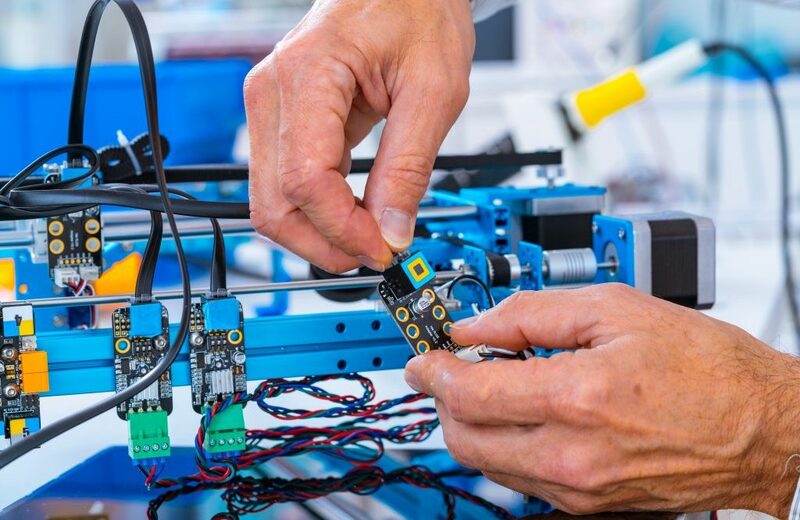 This allows companies not only to enter the market through a mechanism that is set up and run by experts but also allows them to focus fully on their core manufacturing functions. When considering the possibility of manufacturing in Mexico, decision-makers must be aware of the fact that there are several versions of Mexican shelter companies that offer services in the marketplace. The first type is called a “full-service” shelter. In this version of the business model, companies enter Mexico under the business license of the service provider. Client companies are seen as “departments” of the shelter company and do their manufacturing in Mexico in an environment that reduces both risk and liability. 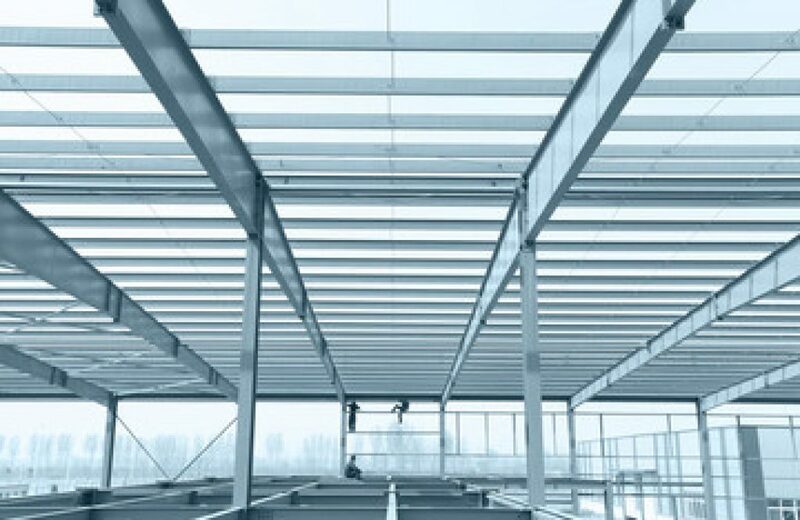 Another feature of full-service shelter companies is that they own real-estate and provide manufacturers with industrial space in which they can make their products. Another version of the shelter company in Mexico is comprised of services only. In this mode of operations, firms manufacturing in Mexico contract with the shelter company for the non-core services listed above. They do, however, contract with a third-party to secure industrial space in which to elaborate their products. The third type of shelter company allows firms that have decided to do their manufacturing in Mexico to choose the services that they require “cafeteria” style from the full menu of offerings that it makes available. Companies choose the services which they prefer to do in-house. Mexican businessmen and their US counterparts assert that consumers in both the Mexico and the United States will pay the price if the cost of aluminum and steel rise. Mexican businessmen and firms that depend on aluminum and steel strive to minimize the impact on their businesses of the tariffs that have been announced by the US President, Donald Trump, on imports of these products from Mexico, Canada, and the European Union. Mexican businessmen and their US counterparts recently told Reuters that this situation will create uncertainty and that consumers in Mexico and the United States would pay the price if prices went up. Some hope that the measures will not be permanent but will only be a part of the US strategy in the renegotiation of the NAFTA. The Mexican government responded quickly to the twenty-five percent and ten percent steel and aluminum tariffs, respectively, imposed by the United States that came into effect on June 1, and announced measures on equivalent US products. So far, the Mexican government has levied tariffs on whiskey and bourbon imported from the US. “Of course, tariffs create a very serious distortion in industry, because many supply chains are affected every time products cross the border,” said the president of the council of the Mexican Grupo Vasconia, José Ramón Elizondo. Elizondo said that it is still not known whether Washington’s measures are to “force the negotiation” of the North American Free Trade Agreement or will have a “more permanent” character. Mexican businessmen have asserted that in the Vasconia Group the impact of the tariffs will be felt in Almexa. Almexa is a business unit of the company that manufactures aluminum sheets. The company sends sixty percent of its exports to the United States. Mexico estimates that the tariffs imposed by the United States will affect some US $4 billion in aluminum and steel products that Mexican businessmen send to its northern neighbor annually. In 2017, the trade balance in steel and steel-related goods was surplus for the United States with Mexico. The US exported $1.8 billion dollars more than it imported, while in aluminum the surplus was 2.81 billion dollars, according to the Census Bureau of the United States. Trump’s critics discount the US president’s assertion that steel and aluminum tariffs address national security issues. Mexican businessmen that are opposed to the measures also believe that such actions could encourage Mexican firms to supply their steel to other consumer countries. They warn, however, that this will not be easy given the integration of productive chains between the three NAFTA countries. “The problem of the tariff war is that it may end up benefiting countries outside of North America,” said José Luis de la Cruz, general director of the Mexican Institute for Industrial Development and Economic Growth (IDIC). South Korea and, to a lesser extent, Canada and Brazil, could serve to replace some imports from Mexico to the United States, although de la Cruz warned that this “is not so easy” because some steels have very unique specifications and are even that some products are made to measure. Mexican businessmen concur that, In the end, consumers on both sides of the border will be affected by the tariffs announced by both governments. Companies may absorb some of the additional cost, but they will end up transferring most of it to the consumer. This will affect the Mexican consumer in the same way, because if (the taxed products) come from the United States, it will be more expensive to purchase them. 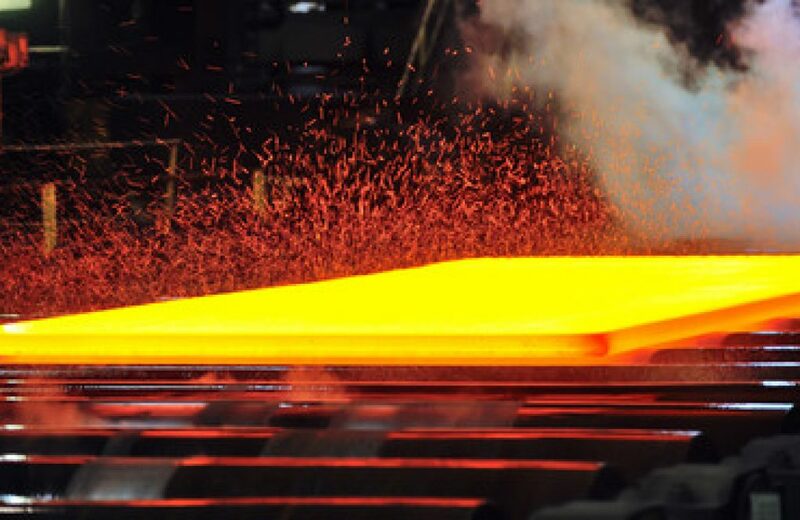 Some Mexican businessmen warn that when the prices of steel and aluminum in the United States become more expensive, the pace of the overall economic growth and that of the construction industry could slow down because inputs would be more expensive. On May 31, 2018, United States Secretary of Commerce Wilbur Ross announced the levying of a twenty-five percent tariff on steel imported from Canada, the European Union and Mexico, as well as a ten percent tax on imports of aluminum from the same nations. This move strains commercial relations with Mexico, as well as with other major trading partners. While some economists and economic policymakers consider this move to be the opening shot of an imminently certain to occur broader trade war, Commerce Secretary Ross has justified the imposition of tariffs by stating that this is a much-needed move towards balancing trade between the US and the affected nations. United States president Donald J. Trump ordered the levying of the tariffs despite opposition to them by his own Republican Party. Additionally, some international trade experts are of the opinion that the unilateral action was taken to punish Canada and Mexico for the disagreements that remain in the renegotiation of the NAFTA. Because of newly strained commercial relations with Canada and Mexico, two parties have maintained that they would retaliate by imposing a series of import tariffs on a diversity of goods from the United States. Canada has already announced that it would retaliate by levying taxes on over US $12 billion worth of goods imported from the United States and that it would release a list of the products which would be affected during the month of June. When discussing the issue, Canadian prime minister, Justin Trudeau, expressed that it is “inconceivable” that Canada be considered a threat to the economic well-being of the United States. Mexico, for its part, is in the process of formulating the actions it would take in response to the punitive tariffs. In March of the present year, when Trump made clear his intentions impose tariffs on aluminum and steel, he excluded Mexico and Canada from them for a period of just over a month and a half. At the time he expressed that he was extending the exemption date as an act of “good faith” that was related to the renegotiation of the North American Free Trade Agreement. Due to strained commercial relations with Mexico and Canada, the three participants in the NAFTA renegotiations failed to meet a deadline that was set for May for completion of the agreements. The White House was anxious to come to an agreement on the particulars of the free trade a deal because the NAFTA treaty is subject to modifications by the US Congress after July 1st. Should the trade talks not be wrapped up in a timely manner, they most likely will not be terminated before Mexico’s presidential contest. Mexico chooses its leader for the coming six years on July 1st. Manuel Lopez Obrador, a leftist, is currently leading the frontrunner as is reflected in recent polls. There are some private sector and government officials that, at this juncture, believe that the conclusion of the North American Free Trade Agreement renegotiation will happen during calendar year 2019. The four areas that the must be addressed by policymakers to achieve Mexican manufacturing leadership are technology, knowledge, sustainability, and human resource talent. Dealing with each of these items successfully will guarantee that Mexico is at the forefront of global manufacturing. At the beginning of 2017, there were questions concerning the continued growth and sustainability of Mexican manufacturing leadership. These concerns disappeared, however, when Mexican industry registered a 3.4% overall growth for the year. This figure was especially noteworthy because, during 2017, the manufacturing sector in Mexico made up 23.1% of the country’s GDP. Because of the volume of activity in the automotive, aerospace, general manufacturing, and aerospace industries, Mexican manufacturing leadership in Latin America has been and is presently being maintained. In large part, the Mexico’s positive results in this area are the product of its position geographically and the vast network of free trade agreements that it has constructed during the last twenty plus years. 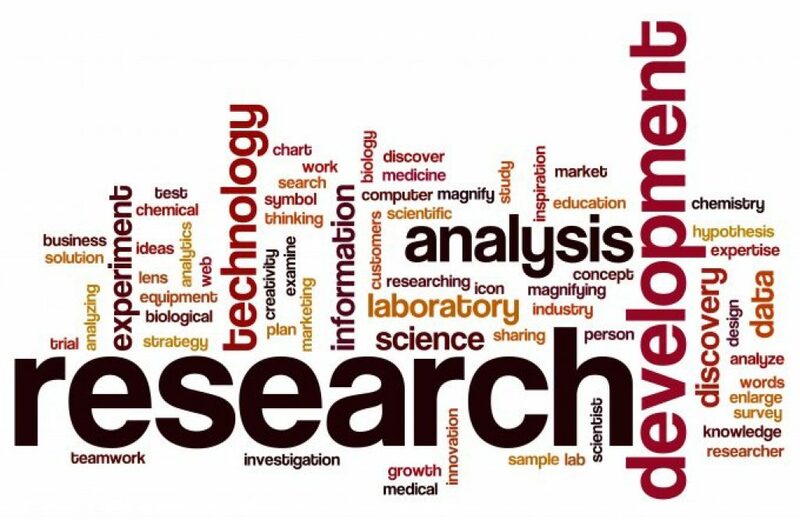 Over the last several decade’s new technologies generated by R & D activities have revolutionized the manufacturing sector. 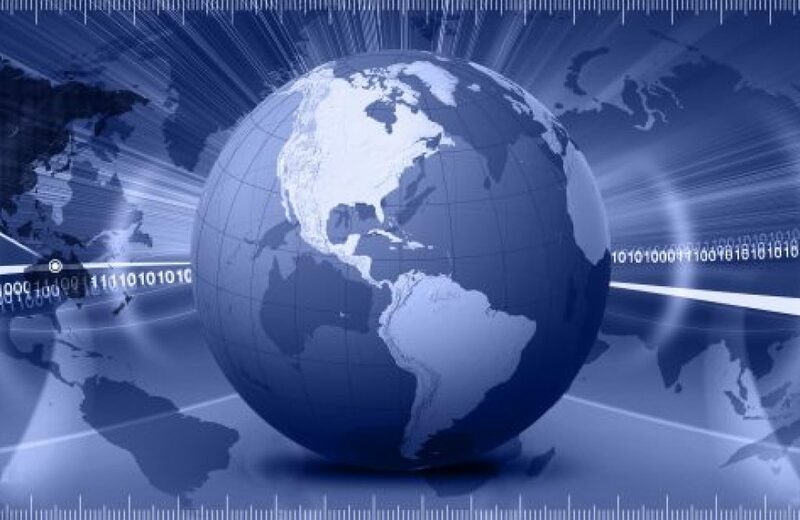 Especially prominent has been newly utilized means of accessing data through the computer technologies and the Internet. In order to maintain Mexican manufacturing leadership, the country must continue to develop systems that enable members of an increasingly trained workforce to connect to sensors, computers, and machines in a more efficient and precise way. Additionally, and, of great importance, Mexican investment in areas such as advanced materials must be of central concern. 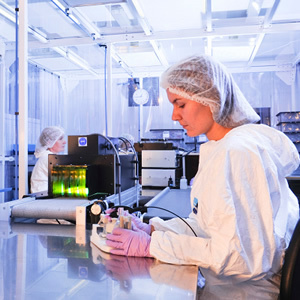 Advanced materials enable manufacturers to reduce the weight of key components and products that they produce. As Mexican manufacturing leadership is maintained, it is important that, as additional functions and capabilities increase, professionals in the sector keep current with regard to new and emerging technologies, techniques, and functions. A deeper knowledge of these will allow the leadership of companies in Mexico to identify problems before they arise, and to increase their productivity. This will enable firms to maintain an edge over their competitors. According to the Manufacturing Leadership Council (MLC), “manufacturers are already applying automatic learning protocols to the data that is generated throughout productions such as detailed piece quality information, product testing data, and field performance data.” This is all being done to isolate and to solve quality problems and their root causes. In order to maintain Mexican manufacturing leadership, companies must identify novel ways to care for and preserve their resources. Due to the limited nature of many of these resources companies will have to become more and more sustainable as time goes on. Part of this movement towards improved sustainability is illustrated by the more frequent use of renewable energy technologies. The use of renewable energy will not only be a positive for the companies that utilize it but will also benefit the communities in which they operate and reside. Companies are only as good as the workforce that they employ. Mexican manufacturing leadership will only be sustained if efforts are made to increase the knowledge and expertise of the nation’s human resources through increased training and education. The result of this will be that companies grow together with their employees by creating a stimulating and positive work environment. Technology, knowledge, sustainability, and talent are simple but yet complex areas that need to be addressed both now and, in the future, so that Mexican manufacturing leadership is maintained. Given past experience, however, it is certain that Mexico, and its productive sector, will continue to make strides in addressing these critical issues. BAIC, the Beijing Automotive Industry Company, intends to initiate a manufacturing plant in Mexico shortly in order to avoid paying the twenty-one percent duty that is charged on product that is imported by Mexico at present. The leadership of the Chinese company BAIC are is to make a public announcement regarding a future capital investment of at least US $2 billion in the construction of its first manufacturing plant in Mexico. Presently, the company pays twenty-one percent in import taxes on the value of the contents of containers that it uses to ship pre-assembled modules. These modules are shipped to a facility in Veracruz at which final assembly of the vehicles is done. By setting up a full manufacturing plant in Mexico, the company will be able to sell its products in Mexico and in South America at a more competitive cost to the consumer. The eight possible locations for the BAIC manufacturing plant in Mexico are Puebla, Sonora, Coahuila, Nuevo Leon, Quintana Roo, Hidalgo, Guanajuato, and Yucatan. Which entity has success in attracting the investment will have to do with several factors. Among them is local access to suppliers, logistics convenience, and incentives offered by the corresponding state governments. With the construction of the new manufacturing plant in Mexico, BAIC will integrate all of the several production processes of a car. This includes welding, painting, assembling and stamping. BAIC began marketing and selling its automobiles in Mexico in mid-2016 and has sold more than seventeen thousand units to date. 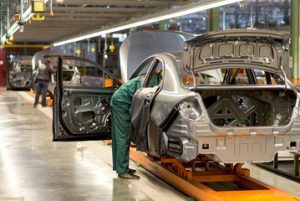 Currently, BAIC International, which is a BAIC Group company is asking that Mexico’s federal government exempt the firm from import duties for the time during which it is building its manufacturing plant in Mexico. According to company spokesmen, the leadership of the Beijing Automotive Industry Company is presently putting the finishing touches on plans for its new Mexican production facility. Details about the plant and its capacity should become available by the end of the month of May. BAIC Group is an enterprise that is owned by the Chinese government and is the holding company of several automotive and machine manufacturers located in the capitol city of Beijing. Subsidiaries of the BAIC Group include BAW; a truck, bus and agricultural equipment maker, Foton Motor; and BAIC Motor; a military vehicle and SUV manufacturer. Additionally, BAIC also produced Hyundai and Mercedes branded vehicles for sale in the Chinese market through Beijing Benz and Beijing Hyundai. BAIC is the 4th or 5th leading domestic automaker in China. The building of the new manufacturing plant in Mexico will serve to strengthen the country’s global position as a leading producer of light vehicles. Mexico is the world’s eighth most prolific automobile manufacturer and is 4th globally in terms of product shipped overseas. Only Japan, Germany, and South Korea export more cars outside of their national boundaries. When it opens its first manufacturing plant in Mexico, the Beijing Automotive Industry Company will be joining other manufacturers such as Ford, GM, Fiat Chrysler, Toyota, Mazda, Honda, Nissan, Hyundai, Audi, Volkswagen others in having a location in the world’s most rapidly growing automotive manufacturing market. 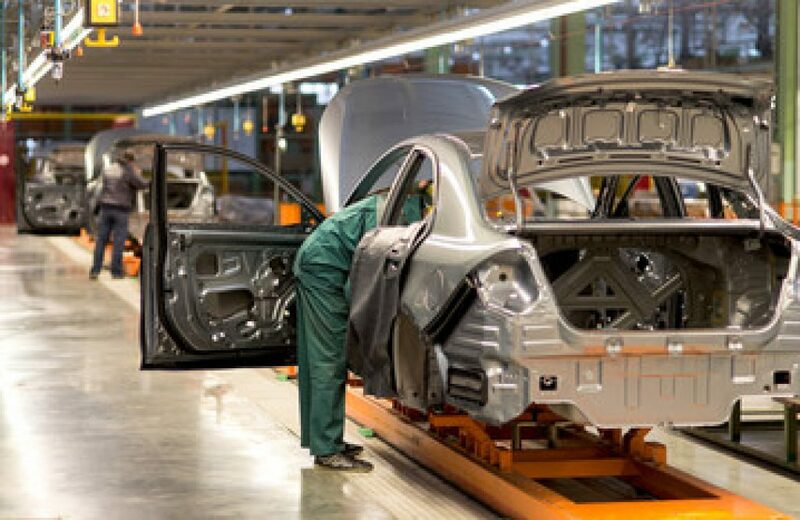 With the growth in the presence of major automotive OEMs in the country, opportunities for suppliers to locate a manufacturing plant in Mexico abound. These manufacturers are invited to learn how the Tecma Group can help them to initiate and maintain a manufacturing presence in Mexico at greatly reduced risk and cost.